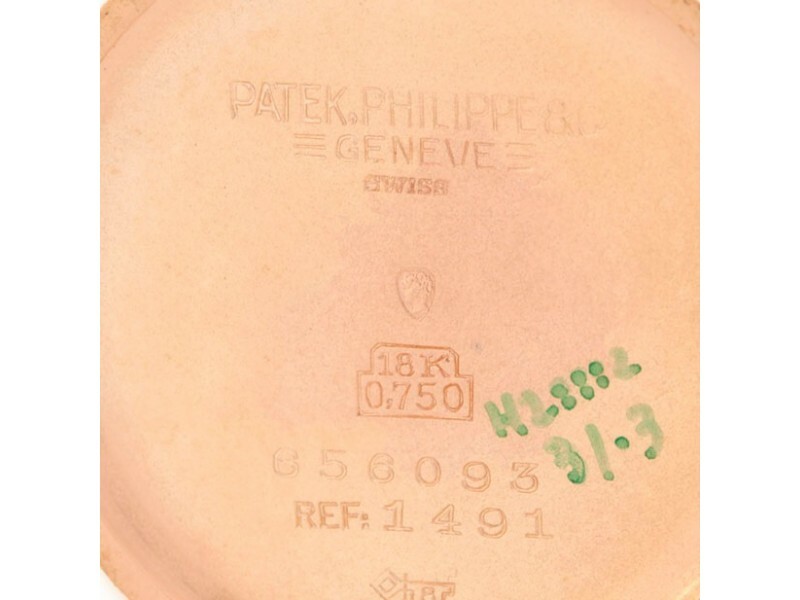 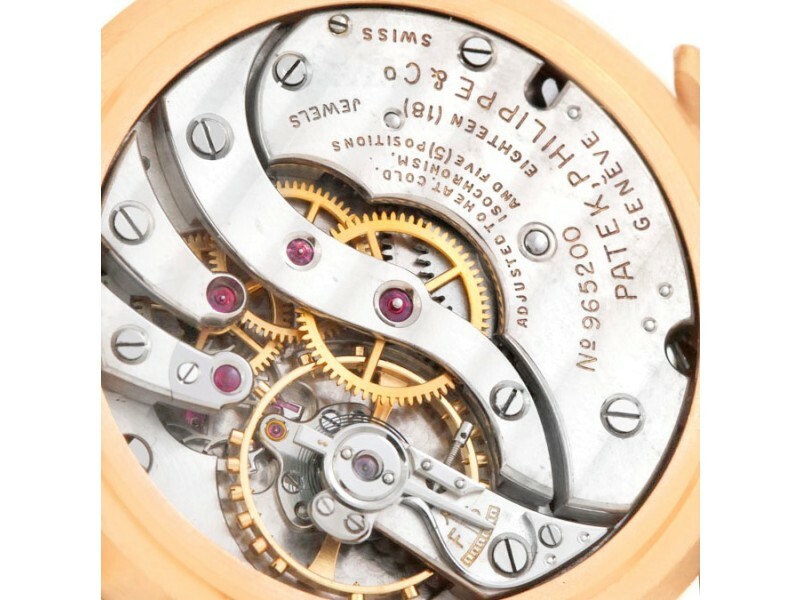 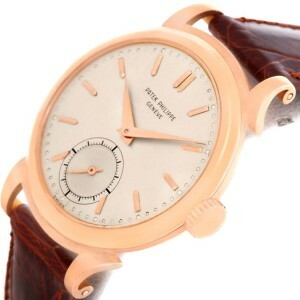 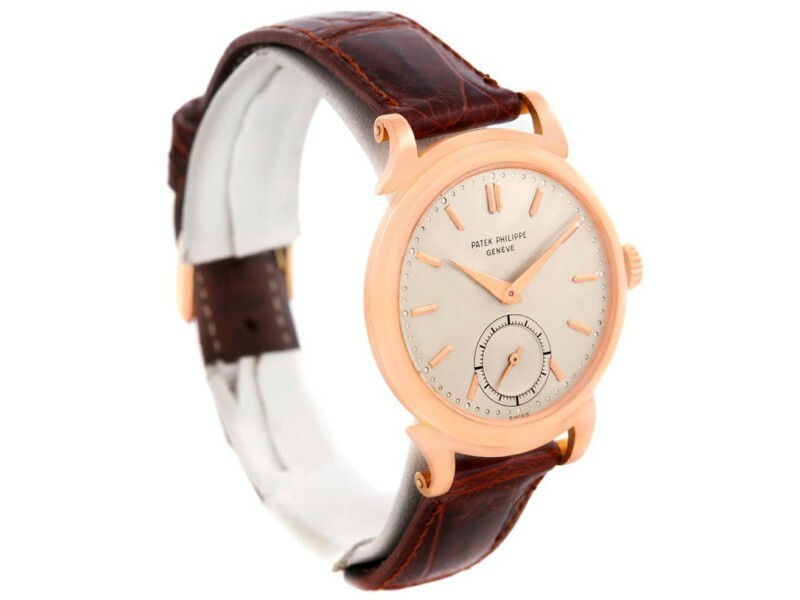 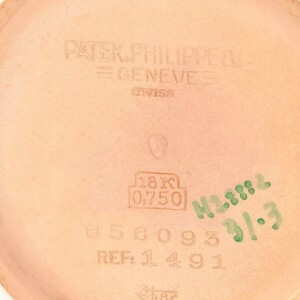 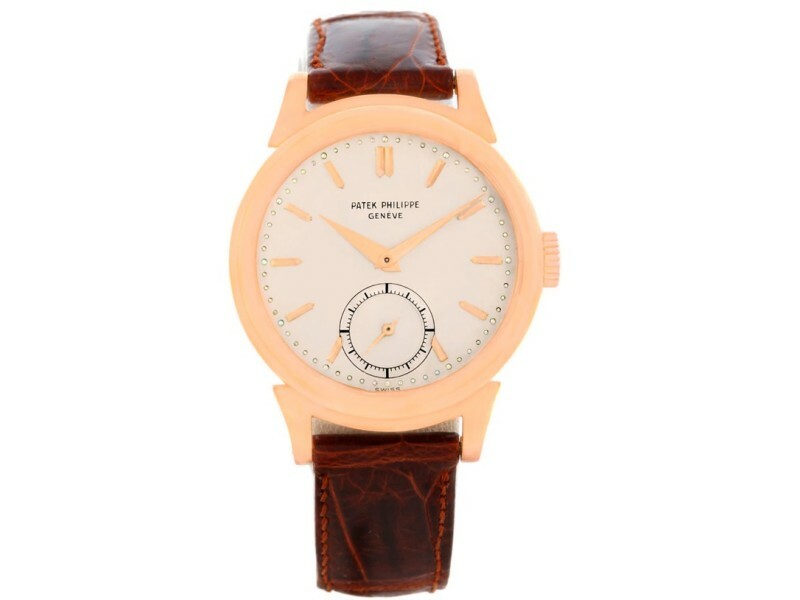 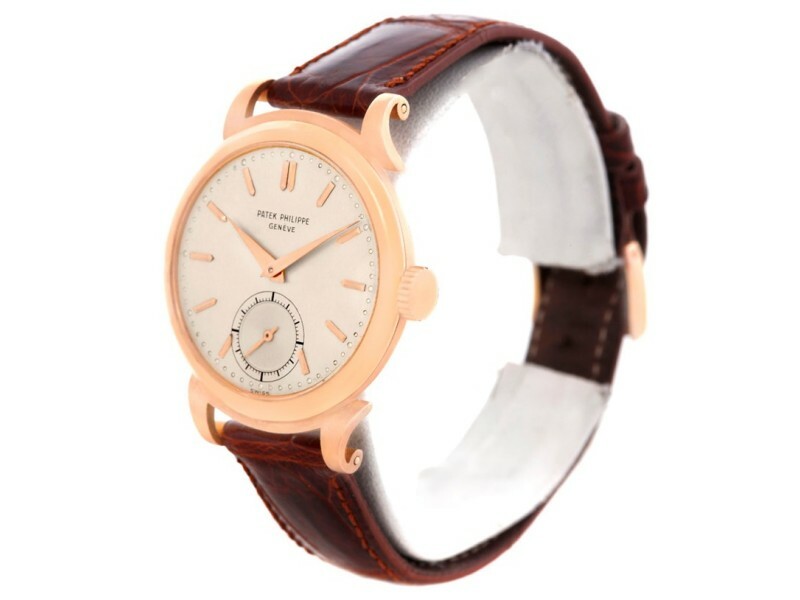 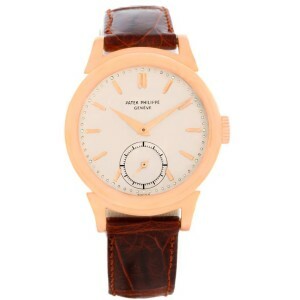 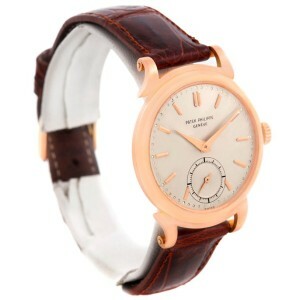 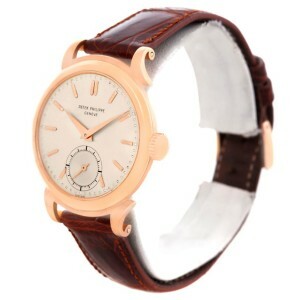 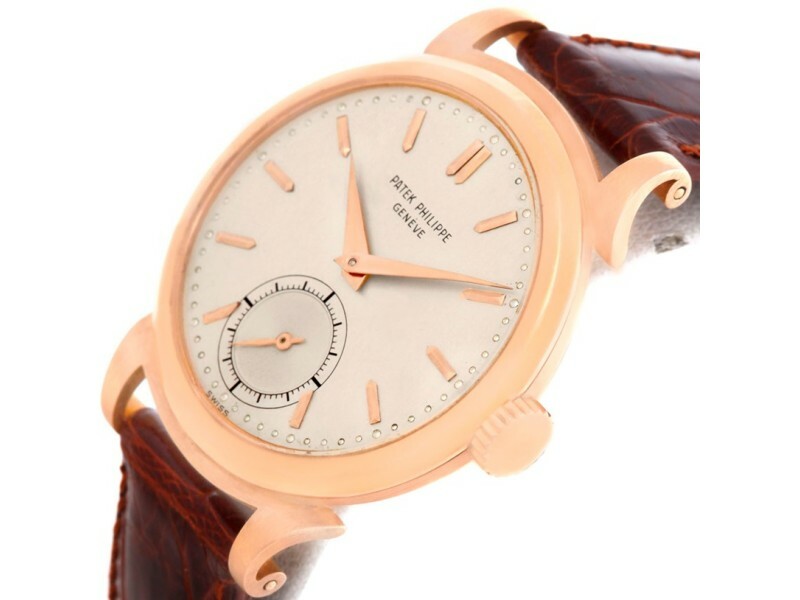 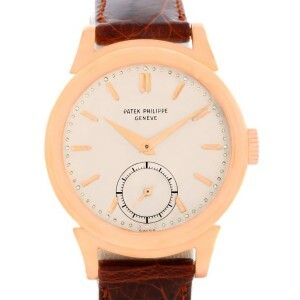 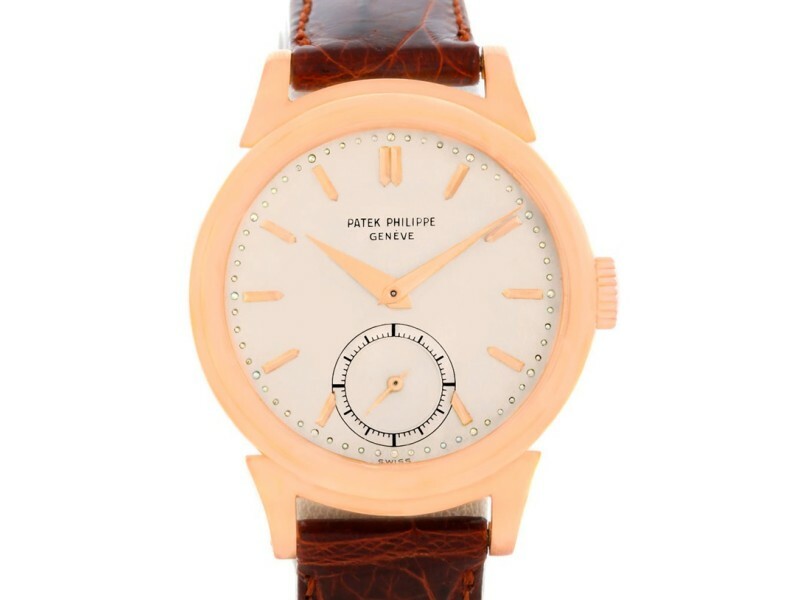 Case: 18K Rose Gold, Scrolled Lugs, Patek Logo On Crown. 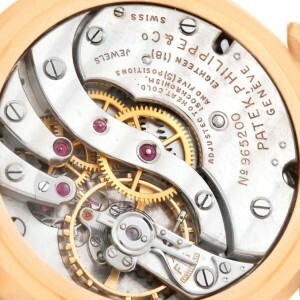 Dial: Silvered Dial With Applied Gold Baton Hour Markers, Subsidiary Engine Turned Seconds Dial At 6 O'Clock. 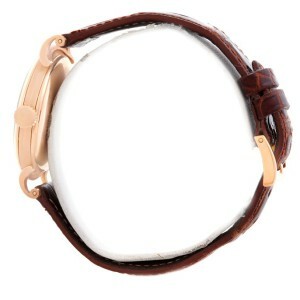 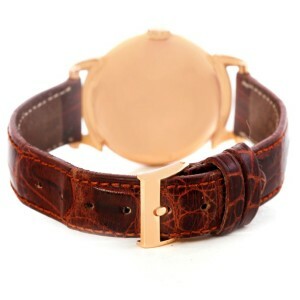 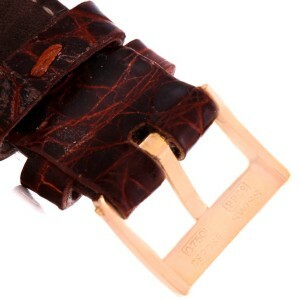 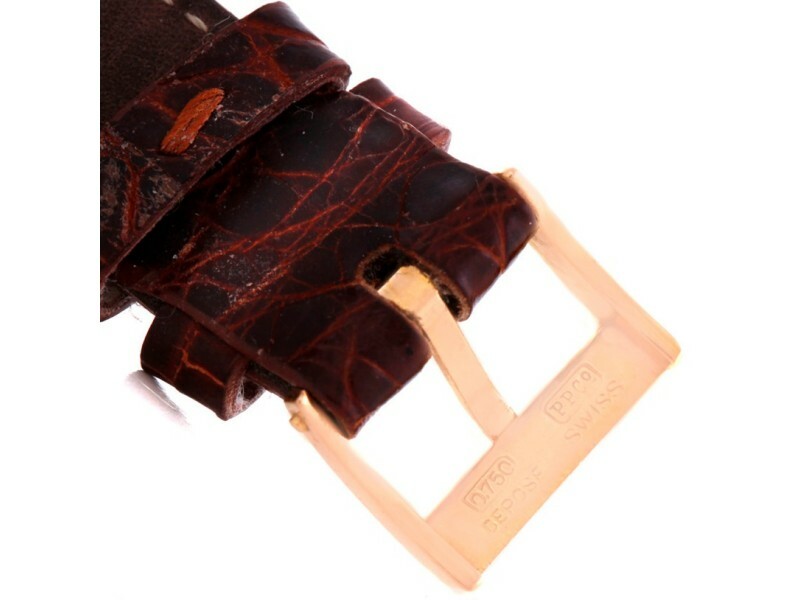 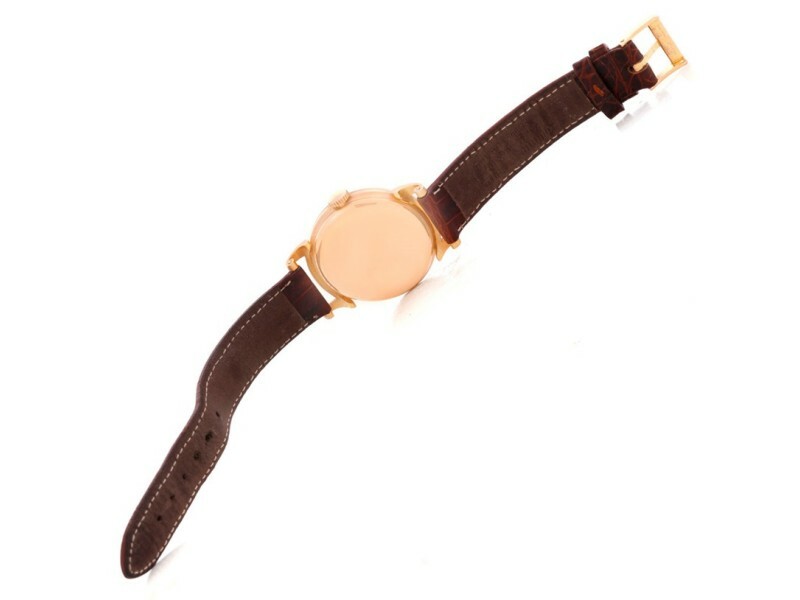 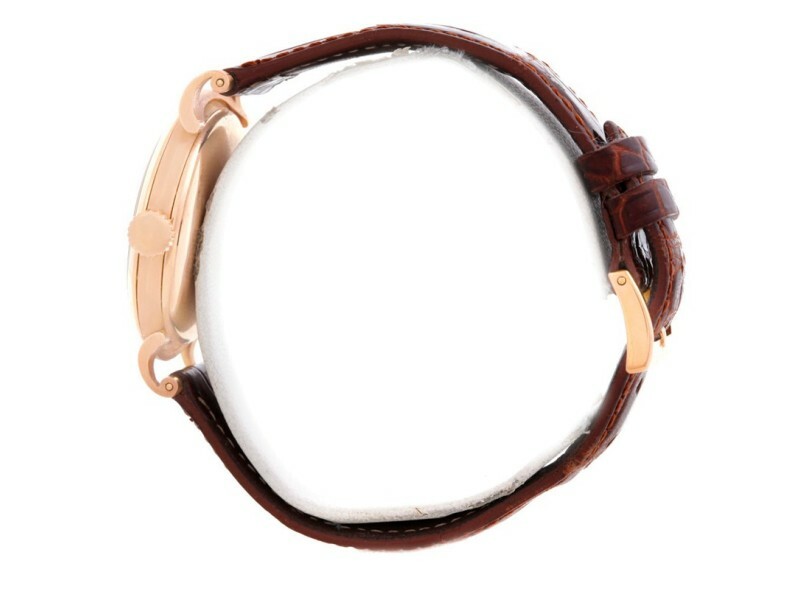 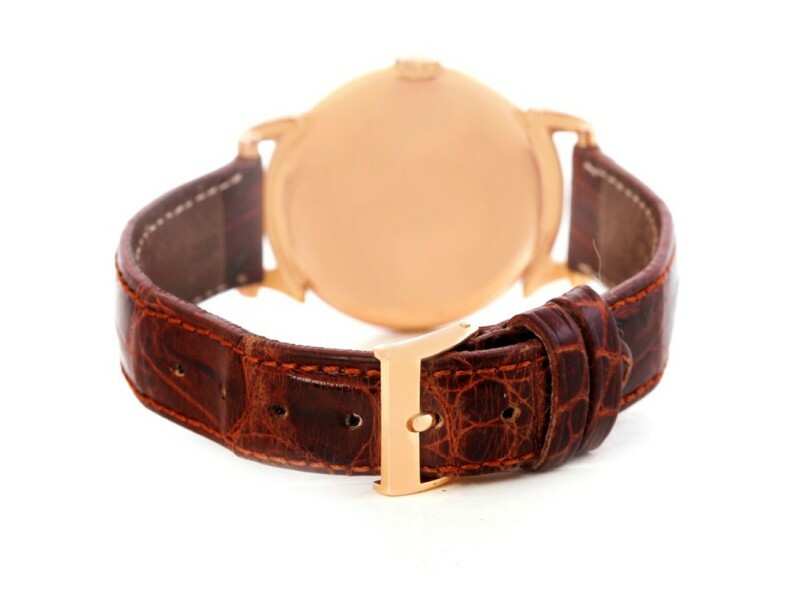 Bracelet: Brown Aligator Strap With 18K Rose Gold Tang Type Buckle.